Zimin Nie has over 10 years experience in synthesis of inorganic materials, energy materials such as fuel cell and flow battery materials, multicomponent oxide and non oxide composite ceramics and nanocomposite materials using solution based synthesis, hydrothermal reactions, sol-gel chemistry and glycine nitrate combustion synthesis. Research experience includes electrolyte study of flow battery, synthesis and dissolution study of aluminum oxide and hydroxide in high alkaline conditions (pH>13), controlled hydrothermal synthesis of TiO2 nanotubes for catalytic, photocatalytic and photovoltaic applications and combustion synthesis of LiFePO4, LiMnPO4, LiNiPO4, Li2TiO2 with desired crystalline structure and low impurity for energy storage. Fifteen years experience in materials composition and structural characterization using wide range of analytical tools including ICP, XRD, BET and HPLC. Recently engaged in developing quantitative tools for the analysis of complex electrolyte solutions, including composition, redox activity, valence, and speciation for large scale energy storage applications. U.S. Patent No. 9,929,429, March 27, 2018, "Polymer-Sulfur Composite Materials for Electrodes In Li-S Energy Storage Devices". U.S. Patent No. 9,017,867, April 28, 2015, "Self Assembled Multi-Layer Nanocomposite of Graphene and Metal Oxicde Materials". U.S. Patent No. 8,835,046, September 16, 2014, "Self assembled multi-layer nanocomposite of graphene and metal oxide materials ". U.S. Patent No. 8,563,169, October 22, 2013, "Self Assembled Multi-Layer Nanocomposite of Graphene and Metal Oxicde Materials". U.S. Patent No. 8,450,014, May 28, 2013, "Lithium Ion Batteries with Titania/AnGraphene Anodes". Pan A., Y. Wang, W. Xu, Z. Nie, S. Liang, Z. Nie, and C.M. Wang, et al. 2014. "High-performance anode based on porous Co3O4 nanodiscs." Journal of Power Sources 225. PNNL-SA-101781. Li J., K. Zhu, J. Shang, D. Wang, Z. Nie, R. Guo, and C. Liu, et al. 2012. "Fluorescent Functionalized Mesoporous Silica for Radioactive Material Extraction." Separation Science and Technology 47, no. 10:1507-1513. PNNL-SA-84808. Xia G., R.C. Scott, X.S. Li, Z. Nie, J. Choi, and J.W. Stevenson. 2011. "Development of SOFC Interconnects and Coatings." In 2011 Office of Fossil Energy Fuel Cell Program Annual Report. 120-123. Washington, District Of Columbia:Department of Energy. PNNL-SA-80405. Xia G., X.S. Li, Z. Lu, Z. Nie, R.C. Scott, J.D. Templeton, and J.W. Stevenson. 2011. "Development of Cathode-Interconnect Contact Materials for SOFCs." In 2011 Office of Fossil Energy Fuel Cell Program Annual Report. 124-128. Washington, District Of Columbia:Department of Energy. PNNL-SA-80676. Xiao J., J.Z. Hu, D. Wang, D. Hu, W. Xu, G.L. Graff, and Z. Nie, et al. 2011. "Investigation of the Rechargeability of Li-O2 Batteries in Non-aqueous Electrolyte." Journal of Power Sources 196, no. 13:5674-5678. PNNL-SA-75791. Xu W., V.V. Viswanathan, D. Wang, S.A. Towne, J. Xiao, Z. Nie, and D. Hu, et al. 2011. "Investigation on the Charging Process of Li2O2-Based Air Electrodes in Li-O2 Batteries with Organic Carbonate Electrolytes." Journal of Power Sources 196, no. 8:3894-3899. PNNL-SA-75700. Shao Y., S. Zhang, C.M. Wang, Z. Nie, J. Liu, Y. Wang, and Y. Lin. 2010. "Highly durable graphene nanoplatelets supported Pt nanocatalysts for oxygen reduction." Journal of Power Sources 195, no. 15:4600-4605. PNNL-SA-69731. Xu W., N.L. Canfield, D. Wang, J. Xiao, Z. Nie, X.S. Li, and W.D. Bennett, et al. 2010. "Approach to make macroporous metal sheets as current collectors for lithium-ion batteries." Journal of the Electrochemical Society 157, no. 7:A765-A769. PNNL-SA-69910. Zhang J., J. Liu, D. Wang, D. Choi, L.S. Fifield, C.M. Wang, and G. Xia, et al. 2010. "Vapor-Induced Solid-Liquid-Solid Process for Silicon-based Nanowire Growth." Journal of Power Sources 195, no. 6 SP ISS:1691-1697. PNNL-SA-67705. Zhou X.D., S.P. Simner, J.W. Templeton, Z. Nie, J.W. Stevenson, and B.P. Gorman. 2010. "Electrochemical Performance and Stability of the Cathode for Solid Oxide Fuel Cells II. Role of Ni diffusion on LSM performance." Journal of the Electrochemical Society 157, no. 5:B643-B649. PNNL-SA-68676. Wang D., D. Choi, J. Li, Z. Yang, Z. Nie, R. Kou, and D. Hu, et al. 2009. "Self-assembled TiO2-Graphene Hybrid Nanostructures for Enhanced Li-ion Insertion." ACS Nano 3, no. 4:907-914. PNNL-SA-64760. Xu W., D. Wang, J. Xiao, Z. Nie, and J. Zhang. 2009. "Non-aqueous Electrolytes for High Voltage Lithium Ion Batteries." In Proceedings of the 9th International Advanced Automotive Battery and EC Capacitor Conference and Symposia: Large Lithium Ion Battery Technology and Application (LLIBTA); Large EC Capacitor Technology and Application (ECCAP), June 8-12, 2009, Long Beach, CA. Oregon House, California:Advanced Automotive Batteries. PNNL-SA-66009. Wang D., D. Choi, Z. Yang, V.V. Viswanathan, Z. Nie, C.M. Wang, and Y. Song, et al. 2008. "Synthesis and Li-ion Insertion Properties of Highly Crystalline Mesoporous Rutile TiO2." Chemistry of Materials 20, no. 10:3435-3442. PNNL-SA-59542. Yang Z., G. Xia, C.M. Wang, Z. Nie, J.D. Templeton, P. Singh, and J.W. Stevenson. 2008. Investigation of AISI 441 Ferritic Stainless Steel and Development of Spinel Coatings for SOFC Interconnect Applications. PNNL-17568. Richland, WA: Pacific Northwest National Laboratory. Yang Z., G. Xia, Z. Nie, J.D. Templeton, and J.W. Stevenson. 2008. "Ce-Modified (Mn,Co)3O4 Spinel Coatings on Ferritic Stainless Steels for SOFC Interconnect Applications." Electrochemical and Solid-State Letters 11, no. 8:B140-B143. PNNL-SA-59723. Zhou X.D., J. Yang, E.C. Thomsen, Q. Cai, B.J. Scarfino, Z. Nie, and G.W. Coffey, et al. 2006. "Electrical, Thermoelectric, and Structural Properties of La(MxFe1-x)O3 (M=Mn, Ni, Cu)." Journal of the Electrochemical Society 153, no. 12:J133-J138. PNNL-SA-50730. Fryxell G.E., H. Wu, Y. Lin, W.J. Shaw, J.C. Birnbaum, J.C. Linehan, and Z. Nie, et al. 2004. "Lanthanide Selective Sorbents: Self-Assembled Monolayers on Mesoporous Supports (SAMMS)." Journal of Materials Chemistry 14, no. 22:3356-3363. PNNL-SA-39211. Fryxell G.E., H. Wu, Y. Lin, W.J. Shaw, J.C. Birnbaum, J.C. Linehan, and Z. Nie, et al. 2004. "Lanthanide Selective Sorbents: Self-Assembled Monolayers on Mesoporous Supports (SAMMS)." Journal of Materials Chemistry 14, no. 22:3356-3363. PNNL-SA-42916. Shin Y., J. Liu, J.H. Chang, Z. Nie, and G.J. Exarhos. 2001. "Hierarchically Ordered Ceramics through Surfactant-Templated Sol-Gel Mineralization of Biological Cellular Structures." Advanced Materials 13, no. 10:728-732. PNNL-SA-34092. Zemanian T.S., G.E. Fryxell, J. Liu, S.V. Mattigod, J.A. Franz, and Z. Nie. 2001. "Deposition of Self-Assembled Monolayers in Mesoporous Silica from Supercritical Fluids." Langmuir 17, no. 26:8172-8177. PNNL-SA-34809. Zemanian T.S., G.E. Fryxell, J. Liu, S.V. Mattigod, Y. Shin, J.A. Franz, and O.A. Ustyugov, et al. 2001. "Chemical Functionalization of Nanostructured Materials Using Supercritical Reaction Media." In IEEE-NANO 2001 : proceedings of the 2001 1st IEEE Conference on Nanotechnology, October, 28-30, 2001, Maui, Hawaii /, 288-292. New York, New York:IEEE. PNNL-SA-35244. Choi S., Y. Wang, Z. Nie, D. Khmbapati, J. Liu, and C.H. Peden. 2000. "Mesoporous Silica Supported Solid Acid Catalysts." In 12th International Congress on Catlysis, Studies in Surface Science Catalysis, edited by A. Corma, F.Melo, S. Mendioroz et al, 130 pt B, 965-970. Amsterdam, :Elsevier. PNNL-SA-33844. Choi S., Y. Wang, Z. Nie, J. Liu, and C.H. Peden. 2000. "Cs-Substituted Tungstophosphoric Acid Salt Supported on Mesoporous Silica." Catalysis Today 55, no. 1-2:117-124. PNNL-SA-30722. Liu J., Y. Shin, Z. Nie, J.H. Chang, L.Q. Wang, G.E. Fryxell, and W.D. Samuels, et al. 2000. "Molecular Assembly in Ordered Mesoporosity: A New Class of Highly Functional Nanoscale Materials." Journal of Physical Chemistry A 104, no. 36:8328-8339. PNNL-SA-32914. 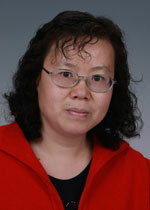 Shin Y., J. Liu, L.Q. Wang, Z. Nie, W.D. Samuels, G.E. Fryxell, and G.J. Exarhos. 2000. "Ordered Hierarchical Porous Materials: Towards Tunable Size- and Shape-Selective Microcavities in Nanoporous Channels." Angewandte Chemie International Edition 39, no. 15:2702-2707. PNNL-SA-33975. Fryxell G.E., J. Liu, T.A. Hauser, Z. Nie, K.F. Ferris, S.V. Mattigod, and M. Gong, et al. 1999. "Design and Synthesis of Selective Mesoporous Anion Types." Chemistry of Materials 11, no. 8:2148-2154. PNNL-SA-31159.